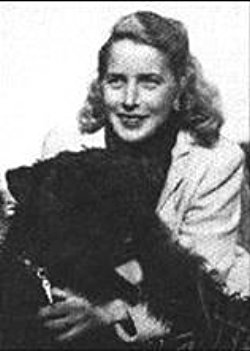 Margaret Wise Brown was best known for her story Goodnight Moon and Runaway Bunny. Every story she has created always bear meaning and inspiration to grown-ups and for children alike. People admire her through her books and until now she is still one of the most remarkable authors of children’s books. Margaret Brown children’s books quotes allows us to see the beauty of life in children’s books. The foundation in every child’s dream lies with the storybook he/she reads—and kids dream when they see something that amazes them. Every child shares the dreams that come with inspiration and determination. Oftentimes, we are not contented with what we have. And oftentimes, we dream to obtain them. But rarely, we do not see that our desires just lie in front of us, waiting to be recognized. We don’t realize this because we become so busy collecting stones instead. Sometimes you live in hypocrisy—saying that you are being true to yourself but it turns out that you are actually pretending to be somebody else. The saddest part is you deceive people as much as you deceive yourself. You are trying to fit in to what society wants you to be. Moreover, no matter how you act in this cruel world, people will always judge you. Simplicity is the basic foundation of life to unleash the beauty from within. It lies on the simple things, the sincerity you are longing to feel and that will make it more beautiful and genuine. Everything in this world has a unique characteristic. This characteristic defines you as a person. You have a talent that no one could ever duplicate which makes you even more special. People can be amazing in their own ways. Truly these children’s books quotes of Margaret Brown brings you into the positive side of life. She is an amazing writer for not only did she introduce cheerful stories for the children, but she also left a legacy into her books that helps grown-ups face life with braveness. Surely these quotes are remarkable!